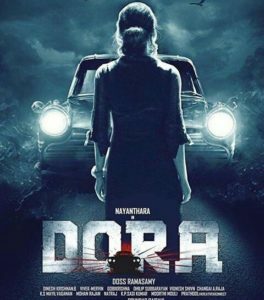 Dora is an horror thriller film directed by Doss Ramasamy. INOX: Vishaal De Mall 12:20 PM; 03:35 PM; 07:05 PM; 10:35 PM. Ambiga Cinemas 10:45 AM; 02:15 PM; 06:15 PM; 10:00 PM. Mani Impala Multiplex A/C 10:30 AM; 02:15 PM; 06:15 PM; 10:15 PM .